← I came to you, Israel, wanting to hate you…. This entry was posted in Visual Scripture and tagged Biltmore House, garden, menorah, rainbow, Sabbath, topiary. Bookmark the permalink. 3 Responses to “It is a sign…forever…” v.17. Yep. Kinda like the rainbow. Probably from H225 (in the sense of appearing); a signal (literally or figuratively), as a flag, beacon, monument, omen, prodigy, evidence, etc. : -MARK, miracle, (en-) sign, token. 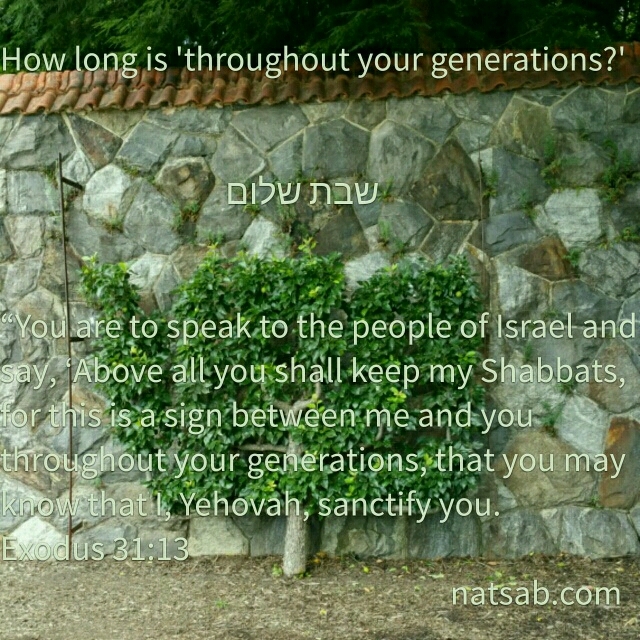 It is Yahuwah’s Mark on us that He is, sanctifying us. (Ex. 31:13), That He is Creator. (Ex. 31:17), That He is Yahuwah our Elohim. (Ez. 20:20)…..So it is the MARK of the Elohim who makes Himself a Man……Compare with the boastfully self admitted “mark” of that “man of sin” who makes himself god…… Rev 13:16 And he causeth all, both small and great, rich and poor, free and bond, to receive a mark in their right hand, or in their foreheads:….Of nothing more does that papal abomination boast than that she of her own volition did change the Sabbath from the last day to the first. The “mark of the Beast” is the sungoday. They call it the “MARK of their ecclesiastical authority”. Dan 7:25a And he shall speak great words against the most High, and shall wear out the saints of the most High, and think to change TIMES and laws…. Very soon the papal Beast will unite with her protestant whore daughters to enforce by law the thing they hold dear commonly… the SUNGODAY. Those Those who comply without intellectual assent are “marked in the right hand”. Those who comply with intellectual assent are “marked in the forehead”. Consider this very carefully…..for this is the final test through which we all who would avoid the Lake of Fire must pass, and it actually begins VERY SOON!